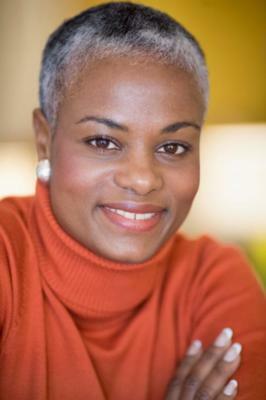 Gray hair is a mixture of white hair and colored hair which creates a gray cast. As we age, in both male and female the pigmentation in the natural hair begins to fade and change colors. For many, the loss of pigment will manifest as various forms of gray, white or silver strands. Sometimes all three colors will manifest at the same time. Heredity, life's challenges, the environment and nutrition determines when people turn gray and how quickly. It used to be true that gray or related colored strands signaled old age; these views have changed with baby-boomers. More boomers are choosing to mingle blonde tones while graying to soften lines of the face and highlight skin tones. 6 reasons to go gray. 1. It's easier. Eliminating the touch-ups will save you time, hassle and money. 2. It's cheaper. Hair coloring -- even if you do it yourself -- can be expensive. 3. It's natural. It eliminates possible toxins like ammonia from your hair and body. 4. Gray is stunning. There are several shades of gray which are flattering. 5. 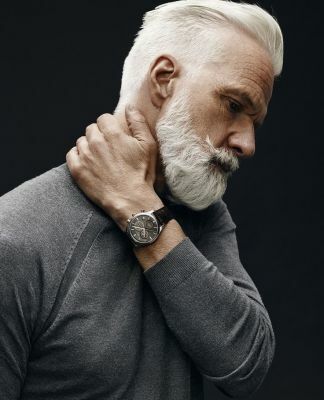 Gray hair is an expression of self-confidence. 6. It's the new chic for older women. Gray hair is wiry and sticks up stubbornly while the rest of your hair lies flat. The reason this happens is because the cuticles of gray hair are rougher than hair which has encased pigment (color). Gray hair tends to be dry. Keep your hair conditioned with a moisturizer; and that shiny look with a glossing treatment once a week. Brushing gray hair every day distributes oils from the scalp to the ends. Thus, it allows the hair to become smoother, softer, and glossier. 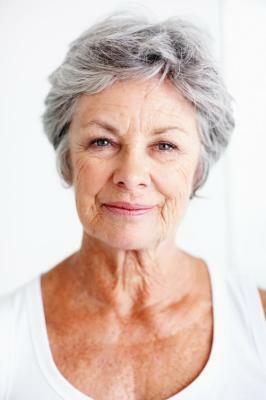 Gray hair can turn yellow if exposed to too much sun, chlorine or the mineral deposits in your water. To keep this from happening, protect your hair with a hat, scarf or swimming cap. Utilize a clarifying shampoo and conditioner. Now that we have your hair color worked out, how will you style the hair? No rules apply to hairstyles for women over age 50. You can wear your hair long, short; straightened or curled; cut, weaved or wigged as long as it's flattering on you. That's really all that matters. However, be sure to bear in mind the shape of your face; all styles differ on different face shapes. Look for styles that will flatter your oval, oblong, heart, round or square face. Again, the point is not to age your face, but rather add pizazz to your looks. Always focus on your good or positive features and downplay or camouflage your less attractive features. This also is true with makeup. Your features and skin tone should complement your changes and bring about an attractive appearance. Talk with makeup artists who can advise you on things which will downplay aging skin and gravity (jowls, wrinkles, puffiness, spots and loose skin). According to Christine Bahl’s article of Everday Health, style also depends on hair texture. “With fine hair in particular, keep it short. Fine hair that’s allowed to grow long will end up looking unhealthy”, says Sharon Dorram, co-founder of Sharon Dorram Color at Sally Hershberger Downtown salon in New York City. Maurice Dadoun, creative director of the Melrose Place Fekkai Salon on Rodeo Drive in Los Angeles, “suggests an above-the-shoulder length for all women who want to stay gray — in his opinion, even if your hair has good texture, wearing it long will age you. Protect your strands by using a low setting on your hair dryer, and don’t ever pull hair.